Miami was founded in 1891 about ten miles from the northeast corner of Oklahoma. Pronounced my-AM-uh, it was named after the Miami Indians who were forcefully relocated there from their traditional home in the Ohio Valley, rather than the Miyami tribe of south Florida. Miami boomed from the lead and zinc mining which spread across Ottawa County and into southwest Missouri and southeast Kansas. During World War I, roughly three-quarters of the lead and zinc used in American ammunition came from this region. 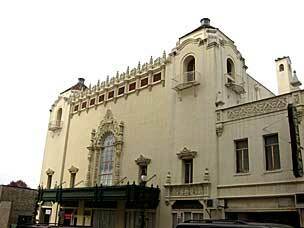 George L. Coleman made his fortune in mining, and in 1929 decided to build a vaudeville and movie theatre in downtown Miami, at a cost of $600,000. 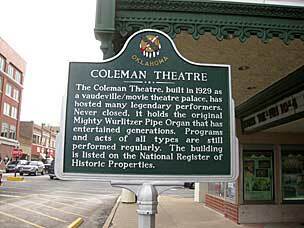 The Coleman Theatre opened on April 18, 1929 to a full house of 1,600. Although there were lean times, and lots of restoration work required, the Coleman has been open for almost 90 years on Main Street, along the historic Route 66. 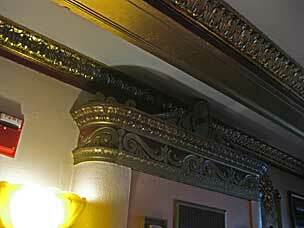 The Spanish Colonial Revival exterior looks promising enough, but once inside you discover a Louis XV interior of carved mahogany, plaster moldings, silk panels, gold leaf, stained glass, and chandeliers. 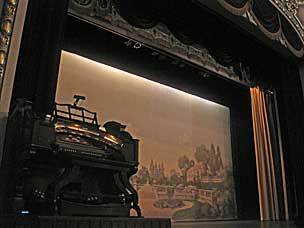 The star attraction has to be the original Wurlitzer Opus 2026 Model 160 pipe organ. 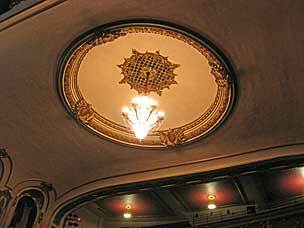 Although it was sold in the 1970’s (a rough period for the theatre), it returned in the 1990’s and was restored. With over 1,000 pipes, the organ was designed to sound like a full orchestra and even provide sound effects for silent films. During restoration, the analog switches were replaced with digital, and a MIDI system allows the docents to fire up an automated demonstration. This is no mere “church organ”.